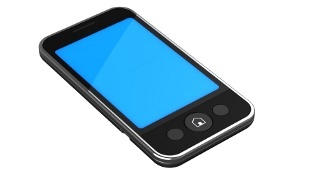 Will 2011 Be The Year of Mobile Web? The answer quite simply is, YES. During 2010, we saw an exponential growth in mobile apps and mobile versions of desktop-made websites. With more and more businesses going mobile over the last year, we can only predict the mobile trend will be hotter than ever in 2011. E-commerce will be the next frontier for the mobile web world. As more and more people will be using their smart phones as lifelines, you will see the need to shop and purchase on-the-go become a big demand amongst the internet generation. Developers like Varien have already begun to roll out mobile versions of their Magento e-commerce platform. With a major player like Magento making the leap, it’s only a matter of time before the rest follow their lead, if they haven’t already. The best is yet to come, and as we move forward into 2011, more and more traditional websites will have made a jump to the mobile platform by the end of the year. Designers are even begging to create their UI design specifically for the mobile application and for touch screen usability. By the end of 2011, we will be discussing what isn’t on the mobile web, and if your business has not found its way there yet, you better start charting your course!